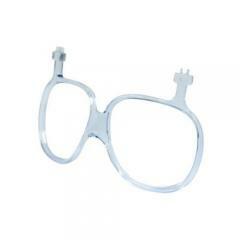 These Bolle inserts are used to adapt your prescription lenses for use with your Bolle Military Tactical Goggles. These original Bolle clear plastic prescription goggles adapters insert snaps into the frame of the Bolle Military Attacker / Commando Tactical Goggles and does not impede their ballistic performance. Bolle Tactical Goggle Rx Adapters can be mounted inside of Bolle Military and Tactical Goggles. Bolle Rx Prescription Adapter fits the Bolle Attacker X500 Tactical Goggles. Sunburst Maltese Cross Badge - B262-X - 1 3/8" x 1 3/8"
Sunburst Maltese Cross Badge - B262 - 1 3/8" x 1 3/8"
Texas Circular Badge - B2075 - 2 2/3" x 2 2/3 "